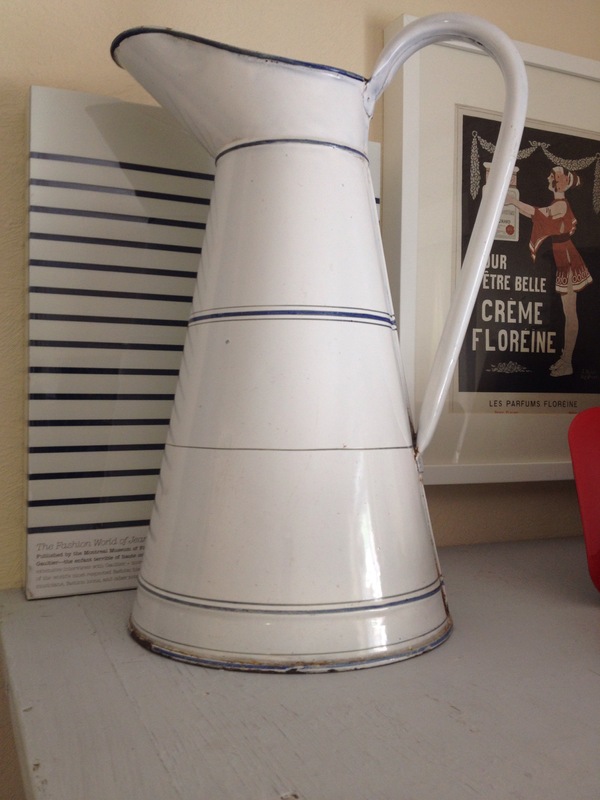 Found this lovely enamel water jug! This will make a great feature in my bedroom picking up on the ticking theme and soft colours of the room! Previous Previous post: French mirror! Next Next post: A busy week reupholstering a single French bed restoring a French garden chair with brilliant results!